Ḥorvat ‘Ethri is situated in the upper Shephelah, c. 35 km southwest of Jerusalem and 8 km northeast of Beth Guvrin. The site extends over approximately 5 a. Its location provides natural defense and an unobstructed view of the surrounding countryside. The name of the site is given by the inscription “‘Ethri” written in Hebrew on an ostracon. This find and additional data suggest that the site should be identified with Κάφεθρα (Caphetra = Kefar ‘Ethra), a village located in the Judean foothills and destroyed during a campaign carried out by Cerealis and units of the Fifth Legion in the region in the year 69 CE (Josephus, War IV, 552–554). Ancient roads bordered by large fieldstones lead to the settlement from the east, south, and west. The narrow valleys situated to the north and south of the hill were cultivated and wells were hewn along them. Rainwater was collected in cisterns located in and near the built-up area of the site. Agricultural terraces were built along the slopes surrounding the settlement. Winepresses, watchtowers, stone quarries, rock-cut tombs, and other installations were located on the rocky outcrops among the terraces. 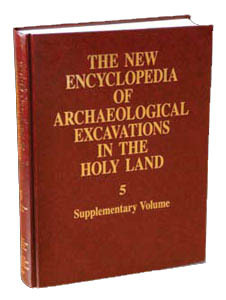 The site was excavated during three seasons from 1999 to 2001 by B. Zissu and A. Ganor on behalf of the Israel Antiquities Authority.